I took it on a bit of a road trip today with my lead foot wife driving so I could pay attention to the scanner and the visual display. It’s obvious that the ECU is aware that something has changed. On the first 200 mile leg, the display stated in the green for longer than I’ve ever seen it before. The car was going between 75 and 80. As we headed west the land gets a little more hilly. It still stayed at the top of the display. During the running around town part of the trip it cycled up and down more than I’ve ever seen it. It never dropped to three bars, as soon as we got on the expressway headed home it ramped up to the green bar area and stayed near the top of the display the whole trip back. Average mpg for the trip was 44 mpg, that included about 40 miles on the toll road at 80+ mph. I’m just guessing the ecu is trying to characterize the new battery pack. Also no problems at all. George W, R-P and kenoarto like this. How is that figure in relation to what the car could do (on average) in the months before installing the new battery? Hmmm...The battery should remain in the mid blue bars most of the time. All green all the time, ain't right. How is that figure in relation to wha the car could do (on average) in the months before installing the new battery? 44mpg average for 80mph+ driving with hills in the winter... That's not bad. Not out of the ordinary for 80mph driving. Engine charge goes somewhere. Also when the ECU is relearning things the SoC meter on the dash is pretty useless. Remember you've changed the capacity greatly without letting the car know and the SoC is just a best guess using lots of factors like voltage and coulomb counting. It has to realize over time that more coulombs can be shoved in and therefore taken out. Robert Holt and Prodigyplace like this. I've noticed this, too, after doing a HV battery condition using the HA equipment. I have been getting in the mid 30 mpg, my wife gets low 30’s and one week averaged 29 mpg. The display didn’t stay in the green the whole leg of the trip but it spent more time there than I’ve ever seen before. With the old battery I’d hit the green maybe once a month the last few years. It was walking up and down the blue quite actively more than I’m used to. I just figure the ECU is figuring out the new capacity. I certain there is quite a difference between a fourteen year old battery and new cells. I'm driving an '05 prius and my battery is definitely on its way out (red triangle and P0A80 error code). Is the newpriusbatteries battery replacement kit worth it if I don't mind a little diy? Has anyone had any issues with this install? I'm wary since I'm already on a refurbished battery that died after less than a year of use so I'm skittish of 3rd party options. As you found out, a refurbished battery is useless. These are brand new. I've had a couple people make some installation errors going too fast and one person who had a separate component failure after install but other than that all feedback has been positive. There are some hard to find reviews here.  Some public on my website. And I have some kind words from customers emailed to me but I won't share what wasn't made public. I’m one of the users of the newpriusbatteries.com rebuild kit. I couldn’t be happier, because of my physical disability’s I was not able to perform the pull, rebuild and install. Several members have done the full diy install. IMHO the kit is very well designed address some of the flaws in the factory pack. It comes with a 2 year warranty. Unless your willing to pay dealer prices for a new battery, with now idea how new that battery actually is. I highly recommend the kit. If you are at all mechanically inclined it shouldn’t take more that 4 hours to do the pull, install the kit and reinstall. I don’t have any relationship with the vendor other than being a very satisfied customer. It cost me $480 to have someone else to the install for me, if you have a hybrid specialist in your are in should be less. Raytheeagle, TomB985, 2k1Toaster and 1 other person like this. I'm another very happy DIY installer of 2k1Toaster's kit. The kit is great. Everything has been nearly normal as I approach 1,000 miles since the installation. As others have reported, and Toaster confirmed, the SoC meter has been showing a lot more green bars than I ever remember, but that will assumedly settle down as the ECU learns. I've been using Torque Pro to monitor the modules, and they most certainly are more capable than my original (15 year old) battery's cells were. Like most other Prius battery that I've read about, most of my old battery was still in pretty good shape, but one module (#13) was out of spec. and the ECU flags the whole pack as a result. My guess is that if I had kept limping around with that pack, another cell or two would eventually go out of spec. too. Those used cells are what you're buying when you get a rebuilt OEM battery. It's like many things in life -- a gamble. My car is in great shape, and this kit was a logical choice, and a fun learning experience for me! I'm a very active member of the Space Coast EV Drivers club, and I do a lot of public outreach, and ride-and-drives with our Chevy Volt. Actually digging into, and modifying my Prius battery helps me understand and explain EV batteries better than ever! 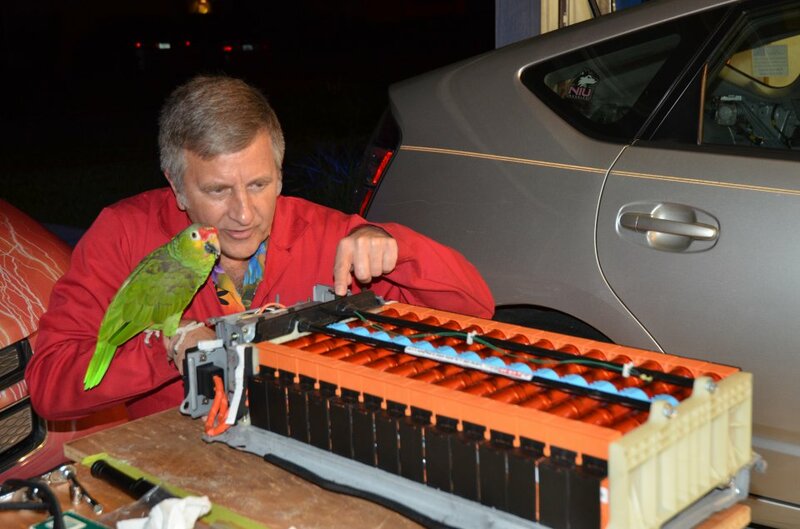 I'll attach a photo of our parrot supervising the battery rebuild, just before the installation of the stainless steel case. It really is a nice kit. rbdigital, Robert Holt, Raytheeagle and 5 others like this. What is the weight difference between the stock pack and the cylindrical pack? Negligible. The "battery goo" is equivalent. We encase in a metal shell but then wrap the ends in plastic to mount to the OEM case. Toyota encases in plastic, but a lot more of it. Our total weight for the kit is about 70lbs which is basically the same as just the modules from Toyota. Thank you for the quick response. The reason I ask is that a couple of the responders say that the capacity is greater. Wouldn't greater capacity require imore chemistry? I think that's said in relation to their old batteries. These batteries are and have always been sold as equivalent to brand new. They're 6.5Ah and tested as such. That's what Toyota marks the PrimeEarths as. Yes I have been trying to keep supply. Right now I've got a months worth in stock, months worth on a boat, and a months worth going through the factory. TomB985 and Salstats like this. I have not filed yet since I am still waiting for my 1098-T. I want to just replace the original pack since I'll be starting my Radiology program and do not want to have the old pack take a crap while driving to school. I do have a second vehicle (long traveled Nissan Titan) but that would leave me broke in a week (I get 12mpg if that). Most peple take two full days to DIY. Genuine Toyota battery with 20 years of testing and documented longevity costs $1600-1900.